Anderson KR. Simple nephrectomy: managing the difficult case: xanthogranulomatous pyelonephritis and autosomal dominant polycystic kidney disease. J Endourol 2000; 14:799-803. Bercowsky E, Shalhav AL, Portis A, Elbahnasy AM, McDougall EM, Clayman RV. Is the laparoscopic approach justified in patients with xanthogranulomatous pyelonephritis? Urology 1999; 54:437-442. Clayman RV, Kavoussi LR, Soper NJ, et al. Laparoscopic nephrectomy: initial case report. J Urol 1991; 146:278. Hsu THS, Sung GT, Gill IS. 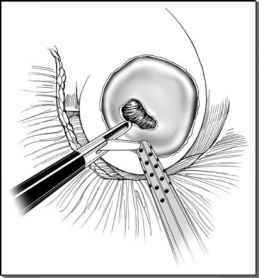 Retroperitoneoscopic approach to nephrectomy. J Endourol 1999; 13:713-720. Keeley FX, Tolley DA. A review of our first 100 cases of laparoscopic nephrectomy: defining risk factors for complications. Br J Urol 1998; 82:615-618. Kerbl K, Clayman RV, McDougall EM, et al. Transperitoneal nephrectomy for benign disease of the kidney: a comparison of laparoscopic and open surgical techniques. Urology 1994; 43:607-613. Nakada SY, Moon TD, Gist M, et al. Use of the Pneumo Sleeve as an adjunct in laparoscopic nephrectomy. Urology 1997; 49:612-613. Rassweiler J, Fomara P, Weber M, et al. Laparoscopic nephrectomy: the experience of the Laparoscopic Working Group of the German Urologic Association. J Urol 1998; 160:18-21. Shekarriz B, Meng MV, Lu H-F, Yamada H, Duh Q-Y, Stolfer ML. Laparoscopic nephrectomy for inflammatory renal conditions. J Urol 2001; 166:2091-2094. Siqueira TM, Kuo RL, Gardner TA, et al. Major complications in 213 laparoscopic nephrectomy cases: the Indianapolis experience. J Urol 2002; 168:1361-1365.